CNN generally only rises to the level of compelling, have-to-watch television when something awful happens: a terrible accident, maybe, or (yet another) horrifying school shooting. Even then, it’s mostly the “let’s look at the car crash” kind of compelling, 24-hour news coverage that isn’t very informative or inspiring. Which is why what happened on the network last night was kind of amazing, as a bunch of teenagers—survivors of last week’s Parkland school shooting in Florida—stood up in the face of their elected official (and the lobbying group that supports him) and told him that he, personally, wasn’t doing enough to keep them safe. 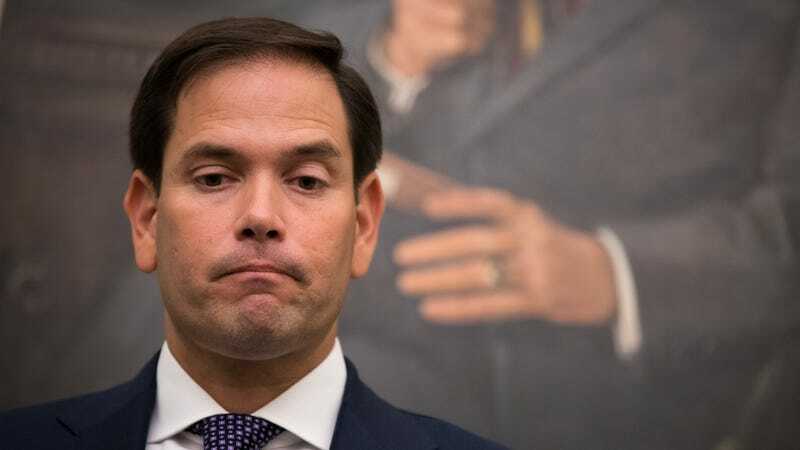 Rubio couldn’t, and there’s something pathetic in the way he continues to offer deflections, explanations, and compromises in an effort to talk past Kasky’s straightforward question, and get to some sort of safe middle ground on an issue for which said safety doesn’t seem to exist. It was, in fact, a pretty rough night for Rubio overall; he was angrily questioned by the father of a student who was shot in the attack, and accidentally incited the crowd into loud, sustained clapping by suggesting that gun-control laws might lead to the banning of “every semi-automatic rifle that’s sold in America,” which the audience seemed to treat as an optimistic goal, and not a terrifying boogeyman to recoil from in fear. Meanwhile, in a fit of depressing predictability, Fox News host Todd Starnes waded into the online conversation, too, asking just what’s got these dang teens feeling so darn disrespectful in the face of something tiny like, say, seeing their friends murdered, and then being told by their government that there’s nothing to be done. He’s not having a great night online tonight, either.